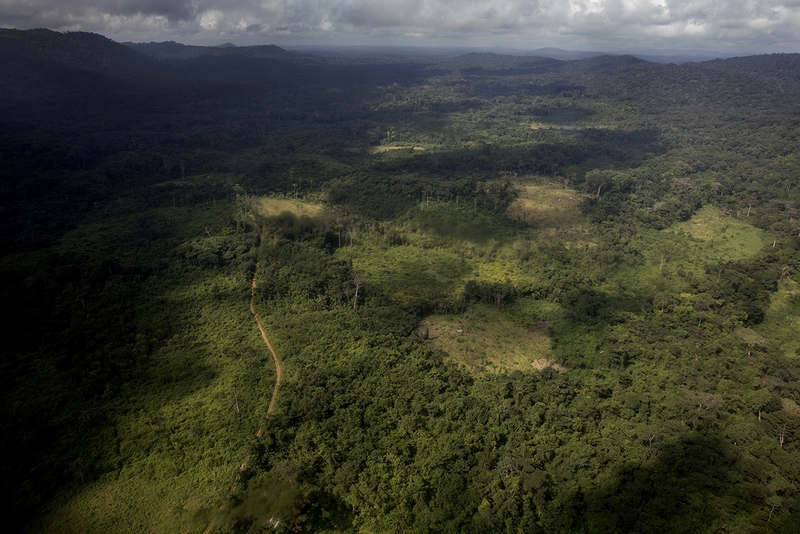 The dreaded Ebola virus has so far killed over 3,400 people in Liberia. 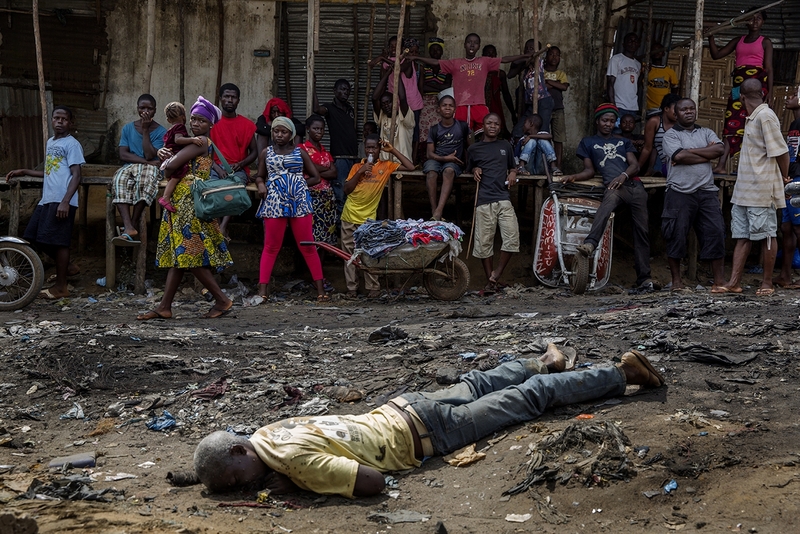 Monrovia, Liberia 2014-12-22 Gabriel Flomo is lying dead in the street in the area Red Light General Market. He has been there for 22 hours when the funeral team arrives. No one has dared to move him. How he got there, right in the alley, no one knows. 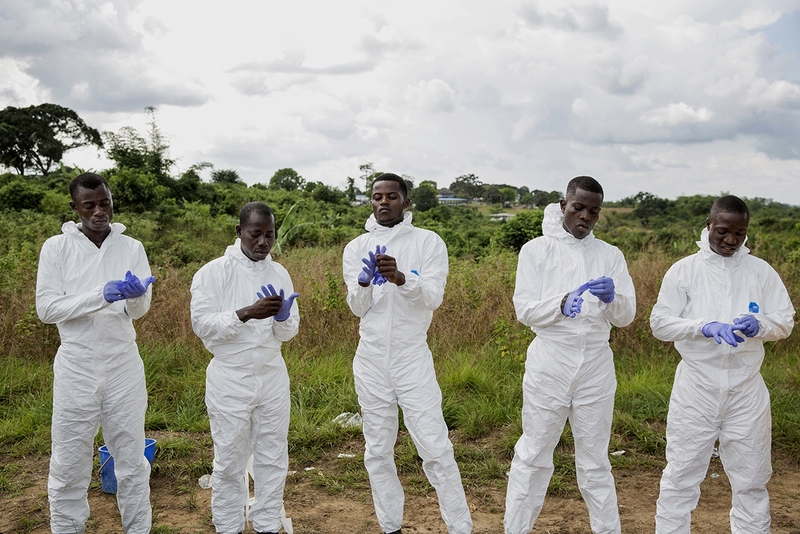 Bomi, Liberia 2014-11-16 In order to prevent the spread of infection the dead bodies are retrieved by a special burial team. 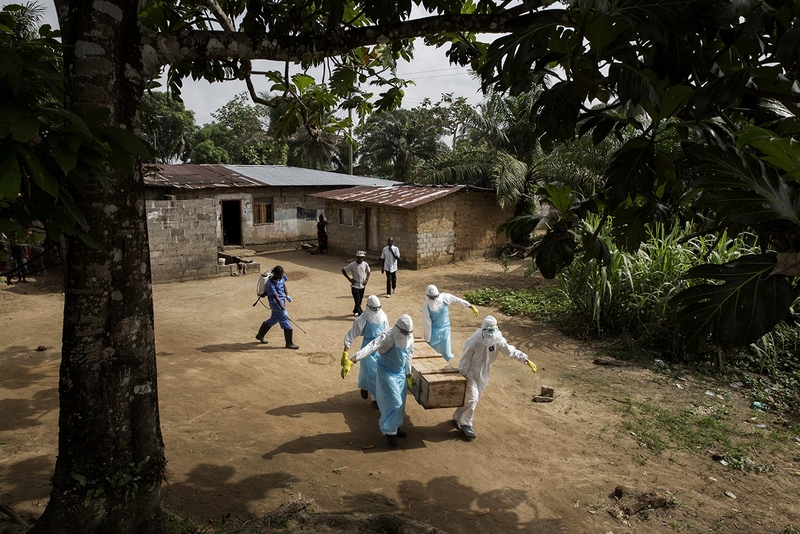 A woman has died of Ebola at clinic in Bomi in western Liberia. The team is supervised by a team leader when they put on their protective equipment. Monrovia, Liberia 2014-12-22 29-year-old Jonathan began to bleed. The family was not able to stop the bleeding. He died on a mattress on the floor. 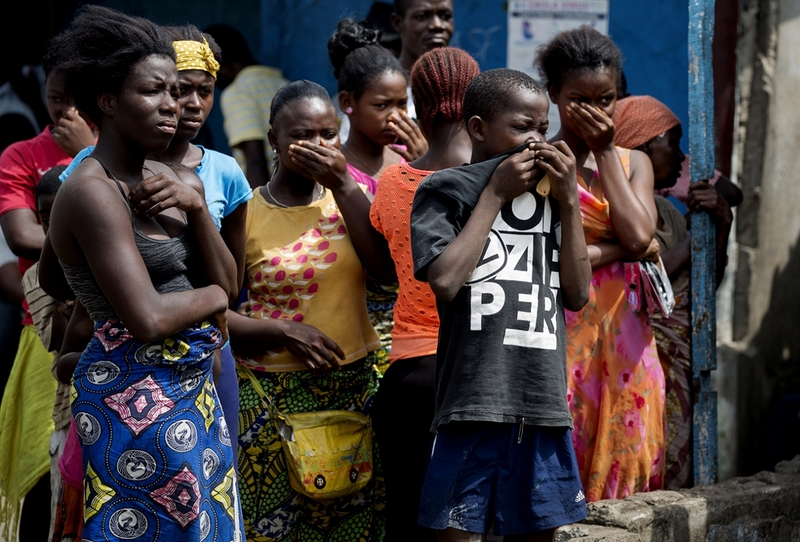 Monrovia, Liberia 2014-12-22 Rachel Hariman was only 30 years old. A few days ago she had a high fever, complained of pain in the joints, and had a nosebleed. There are all symptoms of Ebola. When her body was carried away the neighbors gathered on the street. Ebola is not airborne. But they put their hands over their mouths and noses. Monrovia, Liberia 2014-12-22 In the slum of Crab Hole, on the outskirts of the Liberian capital Monrovia, the funeral team berries Augustins body in a wooden coffin that the had family prepared. Along the village's streets, children play. They take little notice of the dead body being carried through the area. It is not unusual for them. 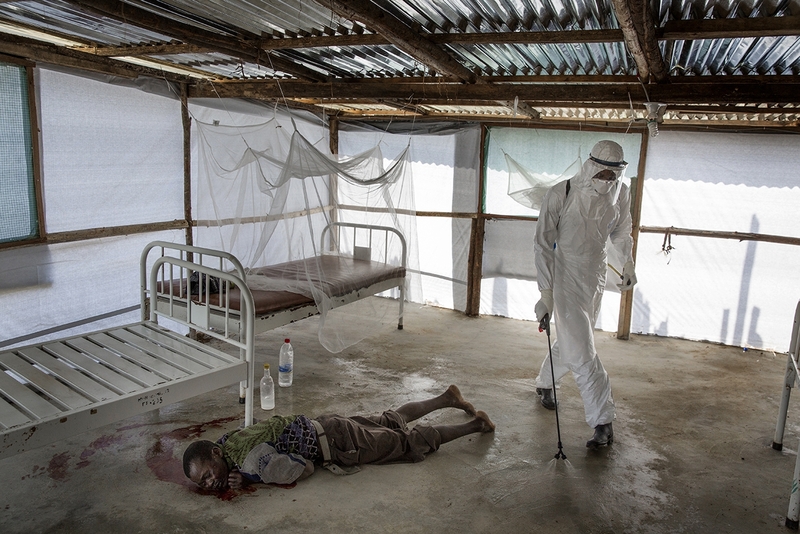 Liberia, Bomi 2014-11-16 The patient Morris Sirleaf 40 who is confirmed with Ebola at the Ebola Treatment Unit in Bomi county. He lost his sister in Ebola yesterday and mother in law earlier. 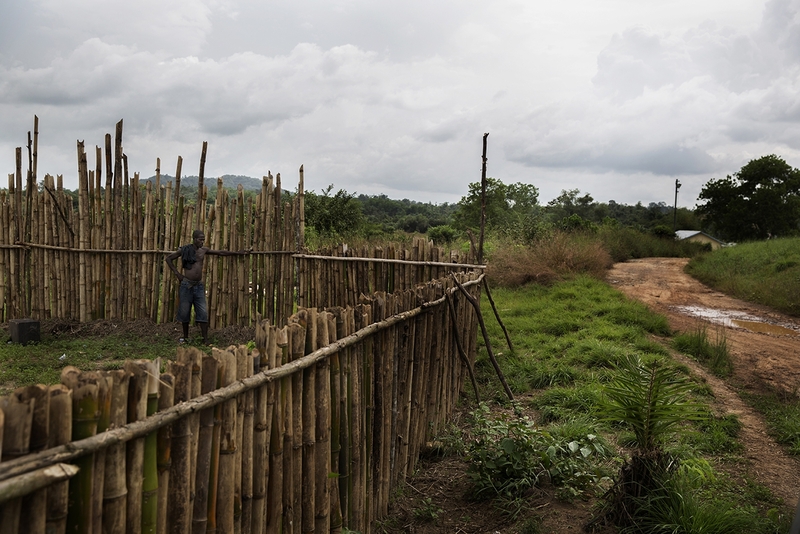 Liberia, Bomi 2014-11-16 David Sakei 50, was treated for Ebola at the ETU in Bomi county. 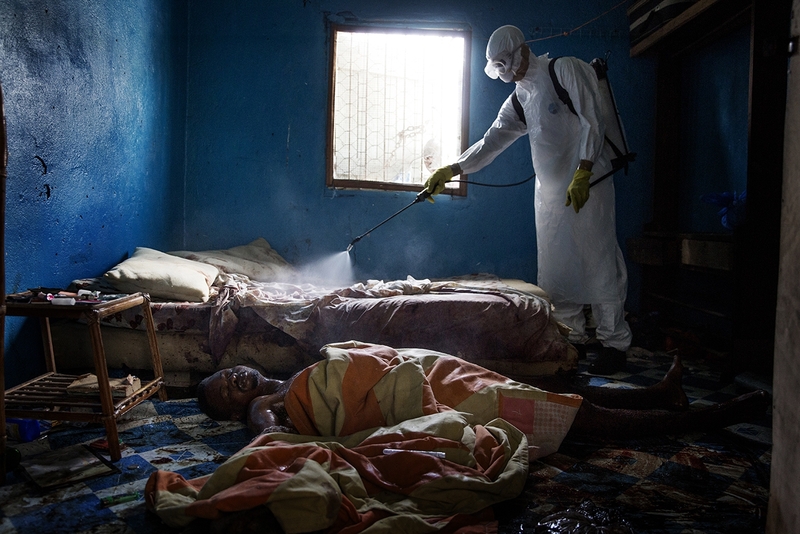 Liberia, Bomi 2014-11-18 Korto Korkula 23, a mother of three children is very sick in Ebola at the Ebola Treatment Unit in Bomi. Tomorrow morning she is dead. Other patients heard her calling out names thru the night before she died. 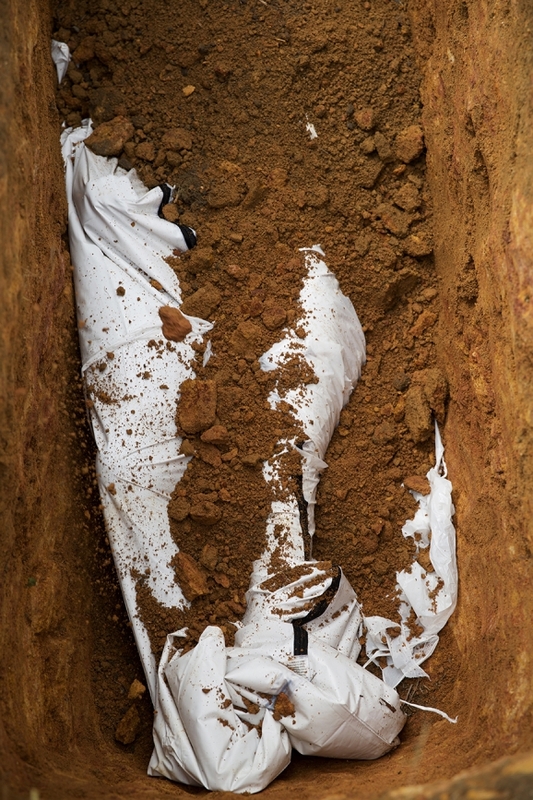 Liberia, Bomi 2014-11-16 A body of a person who died of Ebola is put to final rest at the Ebola cemetery in Bomi. Relatives are not allowed to attend funeral due to the risk of being infected.